Promindo Motor Tangerang, Phone : 0857-17407745, Location : Jatiuwung. 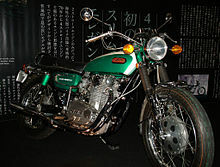 Merk : Yamaha. Model : Jupiter. Tahun Kendaraan: 2010. Jenis Transmisi: Semi Automatic. Kapasitas Mesin: 115 cc. Kilometer: 10,000 Km. Warna: Green. Tanda Nomor Kendaraan Bermotor: B - 3531 - NK (Jakarta). Jenis Bahan Bakar: Premium. Velg: Racing. Jenis Tak : 4 Tak. Tanggal berakhir STNK: 01/10/2015. Kondisi: Bagus. Price : Rp. 10.80 mil. Seller :Contact : Promindo Motor Tangerang, 0857-17407745, Jatiuwung.. Brand: Yamaha. Model: Jupiter. Vehicle Year: 2010. Type of Transmission: Semi Automatic. Engine Capacity: 115 cc. Kilometers: 10,000 Km. Color: Green. No sign of Motor Vehicles: B - 3531 - NK (Jakarta). Fuel type: Premium. Wheels: Racing. Type No: 4 No. Expired vehicle registration date: 01/10/2015. Condition: Good.